Tanner Oldham was born in Charlotte, NC, and then spent his early childhood years in Richmond, VA. In 2005, Tanner’s family moved to South Carolina where their roots run deep. Tanner quickly fell in love with South Carolina. Throughout middle and high school, he played tennis and enjoyed time outdoors with his scout troop, where he ultimately attained the rank of Eagle Scout. 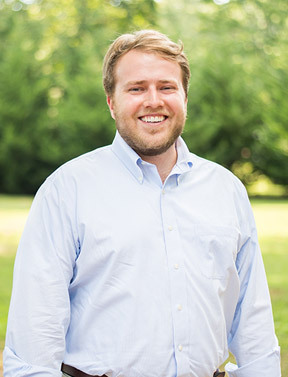 After graduating from Spartanburg High School, Tanner attended Wofford College on the Benjamin Wofford Scholarship, earning dual degrees in Biology and Philosophy and serving as Student Body Vice President. During his undergraduate work, Tanner developed his interest in dentistry after volunteering at a free dental clinic in Spartanburg and traveling to Nicaragua with a dental mission team. Immediately after graduation from Wofford College in 2014, Tanner started his degree of Doctorate of Dental Medicine at the Medical University of South Carolina. During his time at MUSC, Tanner served as President of the Student Professionalism and Ethics Association and as a teaching assistant for a number of courses. In addition, Tanner volunteered for a local free dental clinic in Charleston and traveled to Honduras for a dental mission trip with his local church. 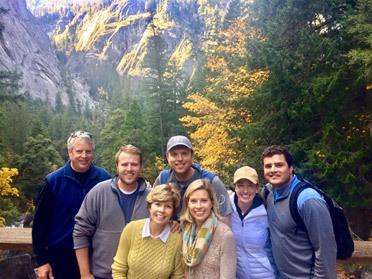 Upon graduation from dental school, Tanner knew he wanted to return to the Upstate to live and practice, making Family Dental Health the perfect place. Tanner enjoys spending his free time with friends and family, cheering on his favorite sports teams, watching movies, reading, and pretty much any DIY project he can get his hands on!